Countdown to Christmas with a line of Harry Potter-themed pocket Pop! 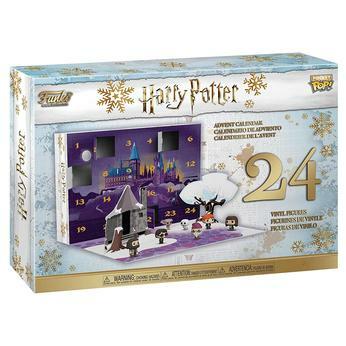 Featuring the Wizarding World’s favorite witches, wizards, beasts, ghosts and house elves, this Harry Potter advent calendar promises a very jolly Christmas indeed, especially when paired with treacle tart and a mug of hot Butterbeer. Celebrate the season with Harry Potter, Hermione Granger with a time turner, Ron Weasley, and more! NOTE: This item will ship Nov. 28. Your credit card will be charged immediately for this preorder as supplies are limited.